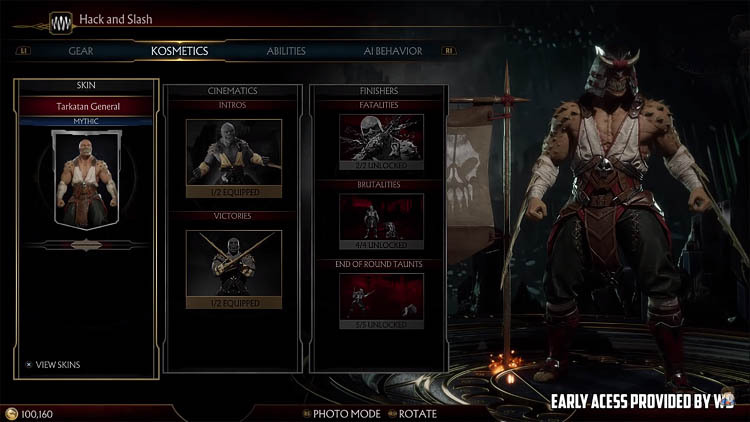 Every character in MK11 starts with a base skin (costume) but players can unlock and equip several alternate costumes for each character (10+ each). When combined with gear, players can freely customize the way their character looks in cinematics and combat. In this guide you'll learn how to unlock new skins in the game. 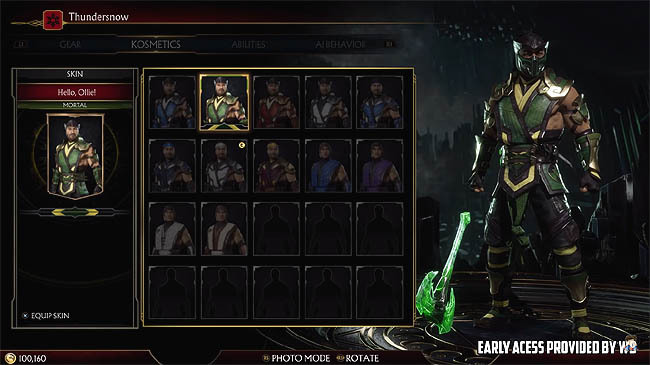 Roughly speaking, there are 12+ skins to unlock per character in Mortal Kombat 11. All of the skins you have access to are shown under the Kosmetics section of the character Variation screen. Above is an example of Sub-Zero's Kosmetics section, showing 12 of his available skins. Just as a few examples, Sub-Zero's skins include the superb "Whiteout" skin which turns Sub-Zero into a real frosty looking character, the "Back to Basics" skin of Mortal rarity which turns Sub-Zero into his classic skin from the original series and also the "Hello, Ollie" skin which turns him green/yellow, resembling a more reptilian theme. These are just a few examples though. As you might expect, green items are common cosmetics whilst purple are rarer and thus harder to acquire. Generally speaking, the Elder cosmetics look far better. Unlocking new skins in MK11 isn't that hard - there are a variety of ways to unlock new costumes. It's more of a case of focusing on particular activities; players have the option to unlock skins at random but also "home in" on particular characters they want to max out too. Focusing on particular character rewards is a new change in MK11 which wasn't available in MKX. New to MK11 are character progression towers. As mentioned above, these towers are purposefully designed to allow players to target rewards for a particular character they want to progress. For example, you might be hunting for new Skarlet gear, augments, medallions and skins - so it would make sense to play her tower for the best chance of earning her specific rewards. These towers are not part of the rotating schedule system that some of the other towers (e.g. Towers of Time) are bound to. Instead, each character tower has its own progression system, allowing players to jump back and forth between towers without losing any invested time. Character towers are arguably the best way to earn skins for your favourite characters. Towers of Time is a Tower based mode where players can attempt to beat a tower (series) of opponents with a defined difficulty rating and sometimes modifiers. These are comparable to the Living Towers from MKX. Every Tower has a set of guaranteed rewards on completion. These can include consumables such as Nitara's Gemstone, Krystal of Life etc. but also character gear and more importantly skins! 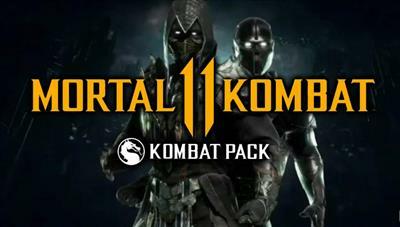 For example, Sub-Zero's "Tundra" skin and Raiden's "Dark Watchman" skin were both shown as Tower rewards during the MK11 reveal event. Simply cycling through the available Towers allows you to view which skins are on offer from each challenge. Towers of Time do come and go in MK11 - hence their name. So it's important to keep an eye on the Towers duration to ensure you complete the challenge before it disappears out of rotation. Players can also use consumable "Tower Keys" to unlock new Towers which might be otherwise unavailable. Remember though, these keys are a one shot attempt so plan wisely! In contrast to Towers of Time, Klassic Towers are always available in MK11 since there's no duration or time limit. Klassic Towers comprise of a selection of opponents and a final BOSS at the end of the ladder. Every Klassic Tower ends with a unique cutscene for the character you choose to complete the tower with. For example, completing with Raiden will show a Raiden specific ending cutscene. Rewards for Klassic Towers are specific for each tower. It therefore makes sense to play Klassic Towers with a variety of characters to unlock a variety of items. Story Mode is the linear single player mode in MK11 that's crammed with cutscenes. Players don't chose a specific character before entering story mode, instead, characters are pre-selected depending what stage of the story you're on. Rewards are consistent during this mode. Therefore, it's worth playing through the entire story once to obtain the rewards and then progress other modes to chase the remaining gear and skins. The Krypt hasn't been confirmed in MK11 just yet but in MKX the Krypt played a major role in unlocking cosmetics, finishing moves and skins. The Krypt was a giant maze, full of jump scares and puzzles to progress. Players had to spend Koins (earned through regular matches outside the Krypt) which could be used to open new areas of the Krypt. With the reintroduction of Koins (and two other currencies) we expect a Krypt like mode to be included in MK11 for unlocking certain items.